Great news for all! 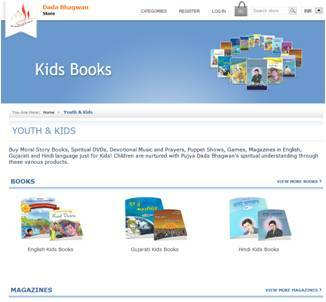 Dada Bhagwan Foundation Presents â€œstore.dadabhagwan.org. A spiritual online store where one can buy Books, DVDs, Audio CDs, Kids Books, games, subscribe for magazines and much more in all languages. 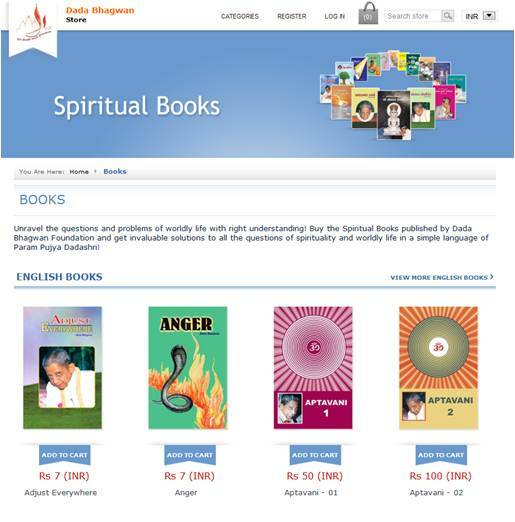 Buy the Spiritual Books and get invaluable solutions to all the questions of spirituality and worldly life in a simple language of Param Pujya Dadashri. Deep Spiritual Science explained in an easy way with lots of practical examples, is presented through Video Satsangs in these DVDs. Buy the DVDs of Spiritual discourses with Pujya Niruma and Pujya Deepakbhai and get a new perspective and right understanding to solve puzzles arising in daily life! 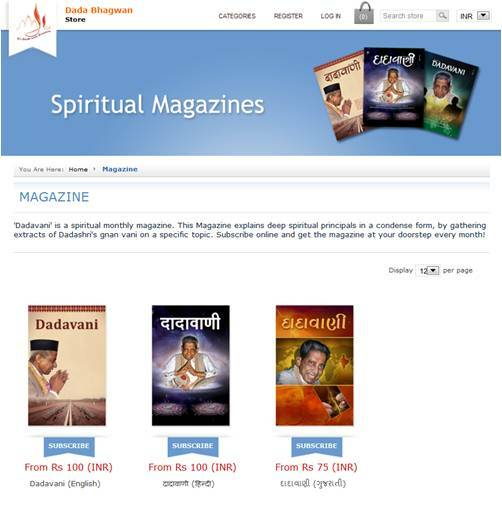 ‘Dadavani‘ is a spiritual monthly magazine. This Magazine explains deep spiritual principals in a condense form, by gathering extracts of Dadashri’s gnan vani on a specific topic. Subscribe online and get the magazine at your doorstep every month! Nurture children with Param Pujya Dada Bhagwan’s spiritual understanding. Buy Moral Story Books, Spiritual DVDs, Devotional Music and Prayers, Puppet Shows, Games, Magazines in English, Gujarati and Hindi language just for Kids! It costs nothing to become a member at the Dadabhagwan Online Store. Enhance your shopping experience and share these products with your friends and family. Order now and uncover the treasure of Akram Vignan that will enrich you with the solutions to your spiritual and worldly puzzles at your finger tips!